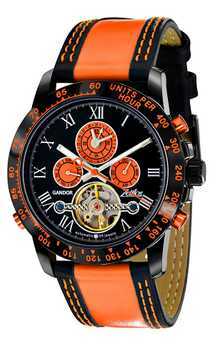 The Timeless Gandor Race Orange brand of watches Timeless! This clock is not only a looker but also a multifunctional clock. A clock like no other! 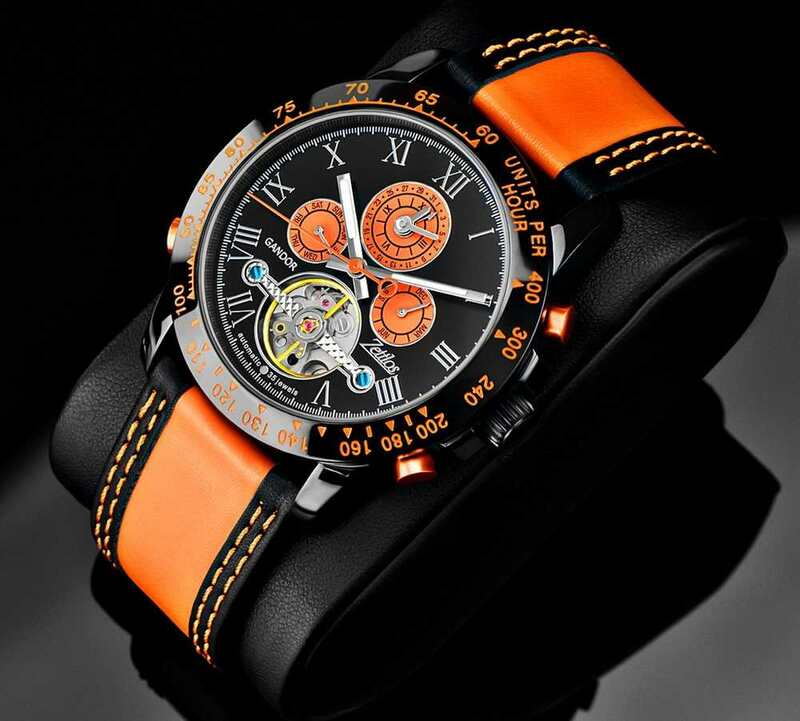 One of the highlights of the Timeless collection completely in black and orange and the second time zone on a 12 clock position. this clock is sure and pull every watch lover in your spell. Timeless design and luxurious elegance are some of the features of the Gandor Race Orange. 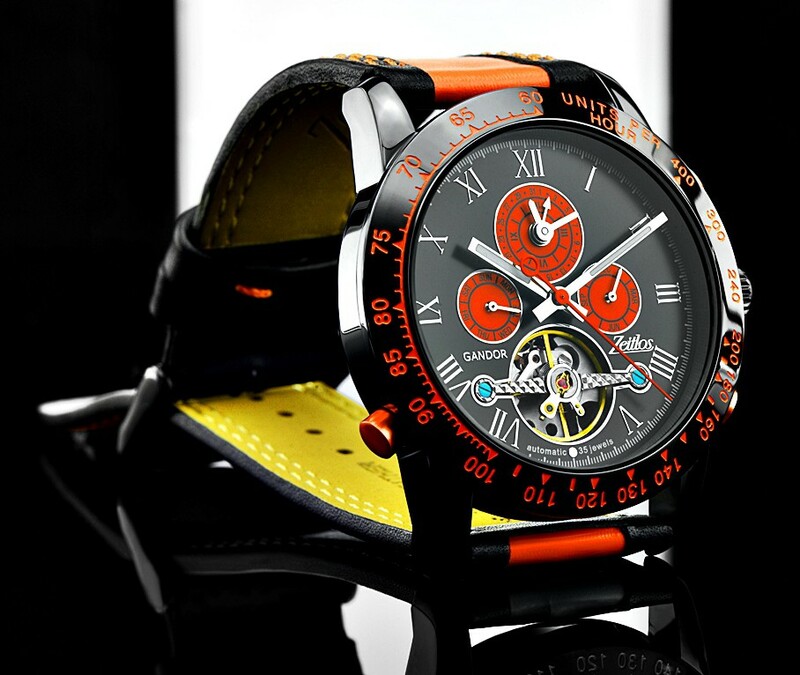 The glass bottom of the clock allows for insights on the automatic movement. Take a chance here and bid you a Gandor Race Orange! Each Timeless clock comes in a fine wooden watch box, with warranty card, diamond certificate and instruction manual!